The Federal Reserve is expected to start raising interest rates later this week, and anyone who&apos;s ever bought a house — or thought about it — knows that if mortgage rates rise by much that will make it tougher to afford a home. Homebuilders are watching the interest rate decision closely too. That&apos;s because this 100-year flood of a housing crash has been especially tough on them. De Desharnais, a homebuilder in Nashua, N.H., says she&apos;s one of the lucky ones — her company survived the crash. But it didn&apos;t come without pain. 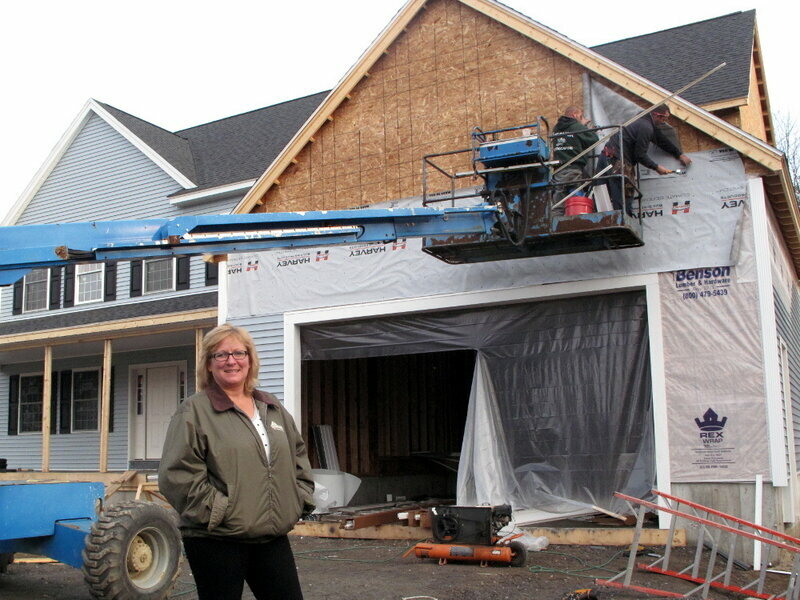 The housing market definitely has improved in the past few years, but Desharnais says homebuilders like her can&apos;t help but be a bit nervous about the prospect of the Fed raising interest rates. "People are out there finally buying," she says. "So builders like us that have been around a long time, we have big subdivisions that we&apos;ve been carrying through that recession. I think there is a big concern if the interest rates go up, that everything&apos;s going to come to a screeching halt." But Desharnais says most homebuilders don&apos;t think that will happen. That&apos;s because the Fed has been signaling that interest rates will only start rising very slowly, and mortgage lenders already have begun baking that increase into today&apos;s mortgage rates. Desharnais, who also is a licensed real estate agent, says she hasn&apos;t seen any rush by homebuyers to purchase before rates go up. "People aren&apos;t out there going, &apos;Jeez, we gotta go do something, because the rates are going to increase,&apos; " she says. "There&apos;s no sense of that within the real estate community at all." "So if mortgage rates go from 4 [percent] to 5 [percent], payments are going to go up 12 percent; that will hit affordability hard," he says. "And I don&apos;t think that message has really gotten out there to people — that they understand they should take advantage of where rates are today." And Burns says it&apos;s once again become easier than many people think to qualify for a mortgage, despite caution on home loans by some of the biggest banks. "There&apos;s a lot of non-banks, like Quicken Loans and loanDepot, that are taking a lot of market share from the banks," he says. "As long as you can provide the income, and you&apos;re not, say, below a 660 FICO score — which is about a bottom 30 percent of the country — they can get you a mortgage relatively affordably." Looking ahead to next year, one big question will be whether first-time homebuyers finally will return to the market. William Wheaton, a housing economist at MIT, says millennials just aren&apos;t settling down and buying houses like past generations — partly because fewer are getting married. Wheaton says it&apos;s one question that has big implications for the future of the housing market.